We recently caught up with Karen Murphy-Mundell, VFX Producer on Blade Runner 2049, to chat about the VFX for the film, about her time in the industry and about how remote review and approval has changed the way movies are made..
What’s your background as a VFX producer? My first film job was working in the camera department on a film called “Misery” back in 1989. I worked with DP Barry Sonnenfeld during the day and going to Arri and Panavision classes at night. 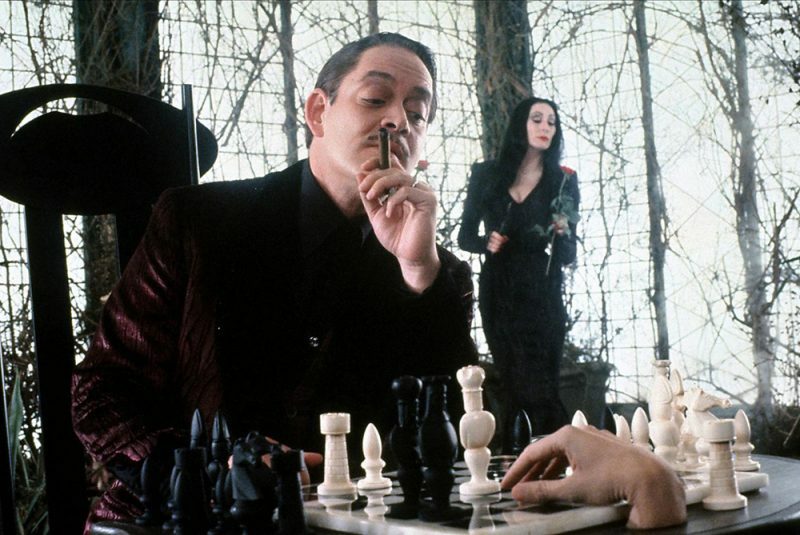 Barry moved on to direct “The Addams Family” films and took me with him. He initially put me in charge of puppets and prosthetics – which I knew absolutely nothing about – so my career was born on a very big film when things were being done practically and digital film making was just on the horizon. At that point I worked for different physical production and digital facilities (IntroVision, Cinesite, Digital Domain). Around the time cineSync came about I was working as Vice President of VFX over at Fox. I believe it was around 2005, when cineSync started being the go-to review mechanism. I embraced it because at that time I would have as many as eight different projects going on across various time zones; be that New Zealand or Australia, Africa, Budapest, Prague or Vancouver . We needed to keep the information flowing not only from facilty to director, but also up the studio chain of command. So cineSync was something I embraced early on because of the sheer number of projects I juggled. How do you keep track of all those vfx facilities? I still use a large time zone map and multiple clocks in the coordinator bull-pen… Old School for sure! I also divide my coordinators up by time zone as well, each taking notes for facilities in their assigned time zone. Now that I am back on the production side…using cineSync has become a standard. When I start a project, I’m handed a script and start budgeting. The first thing I put in is an allowance for cineSync. As the production process moved from previs, into pre-production and post-production – cineSync rides along with us. cineSync is like my left arm. It’s always in my budget and I can scale it up or down depending on the project. Since my time at the studio, I’ve done other films like Hugo, Twilight , Furious 7. On Furious 7, we had a 12 VFX facilities and multiple units shooting all over the world. I had TWO supervisors, so it was like running a two ring circus keeping the cineSync sessions moving with both supervisors, many timezones, aerial units in Abu Dhabi , 2nd unit in Colorado, & stunts. The rule is: the more iterations you can review, the better the work is going to look. It’s a time thing. Do you have time to get another iteration in? Time to address the smallest of notes? By taking advantage of all the different time zones, you’re able to juggle your cineSync sessions and literally keep the VFX workflow going 24 hours a day. What was your experience with Blade Runner 2049 like compared to other productions? Well, Blade Runner presented certain challenges because we had eight different facilities; Atomic Fiction in Montreal, BUF in Paris and Montreal, MPC in London and Vancouver, Double Negative Vancouver, Framestore London and Montreal, Rodeo Montreal, UPP in Prague and Budapest and Weta in New Zealand. Now, we were based mostly out of Budapest shooting. 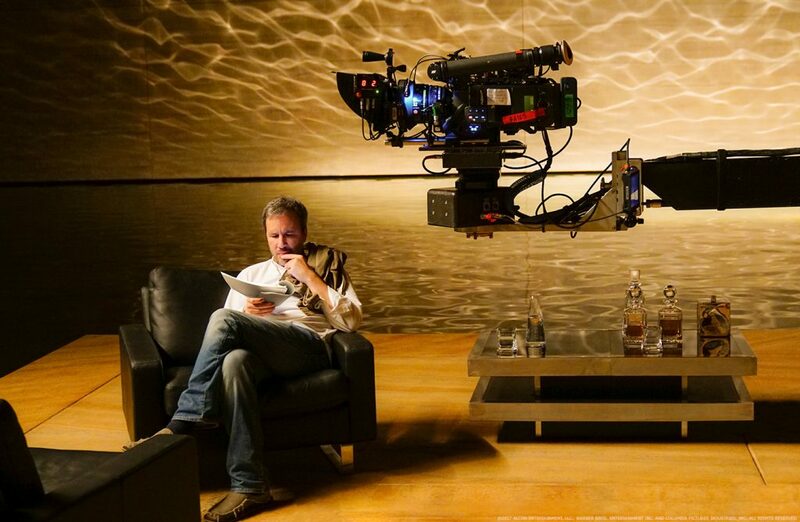 On top of that, we had a previs team, our miniature unit and our wonderful director Denis Villeneuve. In order to keep things moving with some of the work which was so heavy in R&D – like the character animation in Blade Runner was really cutting edge – we had to start that work right away. So to keep the director in the loop on progress of this important character while he’s busy shooting, I’m able to pull him off the stage for 15 minutes to do critical feedback in cineSync, then he’s back to work. We use cineSync multiple times on a daily basis, from pre-production all the way to delivery. The simplicity of using it is fantastic. We’ve got several coordinators but everyone knows how to use it. We had very few technical problems. Just being able to keep all of the different timezones efficient, getting feedback by being able to write on the screen or circle something, is invaluable. When you think there are Blade Runner environments that are so dense with signage, neon or silhouettes, it’s very helpful to be able to ask a director specifically what’s not quite right. And he’ll circle elements to say ‘remove this’ or ‘I don’t like this over here, but I do like this over here’. Then we just save that cineSync session and send it to an artist that could be in China, or India, or wherever. We’re getting feedback right from the horse’s mouth and that’s the most efficient way to get to the directors vision in the final shot. Have you worked with Denis before? I have not worked with Denis before, but I wish I had. I would work on any and every movie he ever does. He’s the most delightful, wonderful, talented individual I’ve ever met, in any business. He’s such a talent and visionary. With Blade Runner in particular, it’s just so easy to throw in more upon more in this layered world, but Denis practiced such restraint. In the end, it takes a true visionary to know when less IS more. Is remote work the way the VFX industry is moving – 24 hours across different time zones? The 24 hour scheduled particularly applied to shooting our miniatures with Weta in New Zealand. Due to scheduling, John and I were not able to physically be in Wellington. Weta would shoot, then at the end of their day we were just getting into work in Budapest and free up the cineSync to review. We were then able to adjust for the next days shooting; move the camera up a little bit, add more atmosphere, shift an element to the left. Then they would go back and re-reshoot. So you’re basically getting feedback in between massive takes on the miniatures set. They’re in New Zealand, we’re in Budapest and we are working as a team… It was unbelievably helpful. How did you used to handle this before remote review? Back in the day, we’d all have to sit in the screening room together and project film. What a concept! We actually recorded out to film the work in progress visual effects and screened them at 2K. For a while before cineSync, we would set up our own satellite dishes for overseas projects. cineSync came along and made it all a lot easier on us. I consider it now to be the industry standard. On Blade Runner, we had a core team of three previs artists in Budapest, but with cineSync we had access to many more artists at MPC’s facility in Montreal. You’re not flying lots of crew around or having to visit all the vendors multiple times. Can you tell us about working with the various facilities that were involved in the production and how you approached collaboration with them all? Some of the facilities that John Nelson and I used we’ve been working with for decades. Because of cineSync, we were able to award work to the facilities who were best suited for the particular task, regardless of their location. We handpicked the best facilities regardless of the time zone. We were going to make it work and cineSync was going to help us do it. That’s really what elevated the overall quality of Blade Runner, because everyone was handpicked for this film from the get-go. We gathered all the best people from around the world, and without cineSync pulling us all together I don’t know how we could have pulled it off. How did cineSync contribute to project turnaround time? Especially on Blade Runner 2049, our post-production deadlines were very tight. Here’s what happens: If production goes over in shooting by a day or a week, your post time isn’t extended. They don’t say “Oh Karen, we went over by 2 weeks in shooting, so we’re going to give you another 2 weeks to deliver”. So right off the bat when starting post, you’re already up against the wall. The release dates were set for International, China, 3-D and IMAX. We had a 3-D post-conversion, which forced us into finishing the film a month earlier than we normally would have. That really put the screws on all of us to get as many iterations and reviews in throughout the day as we could, in order to hit that deadline with the quality of work everyone was expecting. Towards the end, we had DP Roger Deakins come back in to view the sequences to stay true to his lighting vision. Roger was in Hollywood and we’re over at Sony in Culver City, but with cineSync we were able to get his feedback right up to the very end so we could integrate any final notes he had. The post schedules get tighter and tighter it seems every year. And every year we jump through flames and seem to make it. I think we’ve kind of hit our limit now – for a quality project you need X number of weeks – but thanks to cineSync we can pull it off. How has cineSync developed over the years? cineSync was a strange magical thing at first. I didn’t really know how it worked, I didn’t care how it worked, it just made things happen. Now cineSync has come to the point where it’s become super user friendly. It doesn’t take heavy technical knowledge to run a session. It’s just become really accessible. cineSync makes it easy to distribute information between six different coordinators, because all of them know how cineSync works. The ease-of-use is phenomenal, because for every six coordinators I have….they are talking to another six coordinators in another country– and they all know how to use cineSync. It’s just a wonderful system and I appreciate excellent tech support along the way.